Home » Blog » Giving new life to old materials… and creating a wild unjuried arts festival! Giving new life to old materials… and creating a wild unjuried arts festival! Do you know about Artomatic? It’s a volunteer-run 501c(3) nonprofit arts festival. The organization is best known for hosting amazing, huge unjuried arts festivals in the DC metropolitan area every 12-18 months, usually in a commercial site slated for demolition or newly constructed and not yet occupied. For the last few years, the ‘Lift has supplied a materials grant to Artomatic through our Community Building Blocks program. 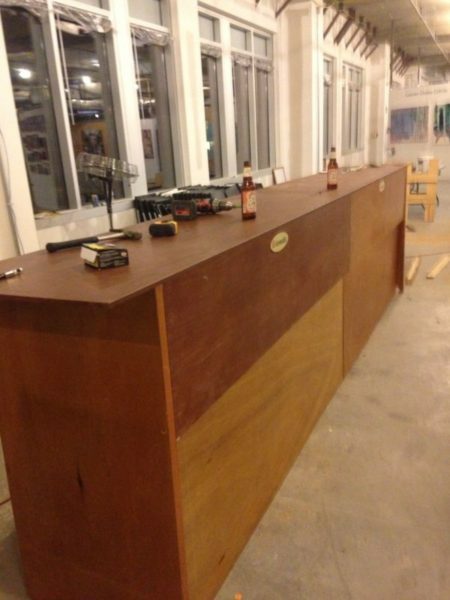 For the current show space, they picked out some old doors and scraps of lumber, and turned them into a nice big bar! 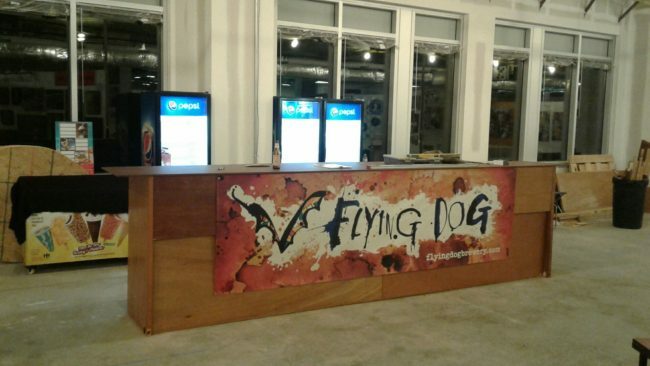 Go check out the bar, and all the awesome art at Artomatic 2016! Open Thursday-Sunday from now through Dec. 9th, right by 1-270’s Montrose Road exit. Artomatic 2016 is a five-week long art festival in Montgomery County, MD that is “by artists, for everyone.” It is free to the public, and this year’s event features more than 350 artists: visual arts, music, performance, and more. Workshops, tours, seminars, and other events are held throughout the duration of the show. No matter what kind of creative events you like, there is something for you at Artomatic. 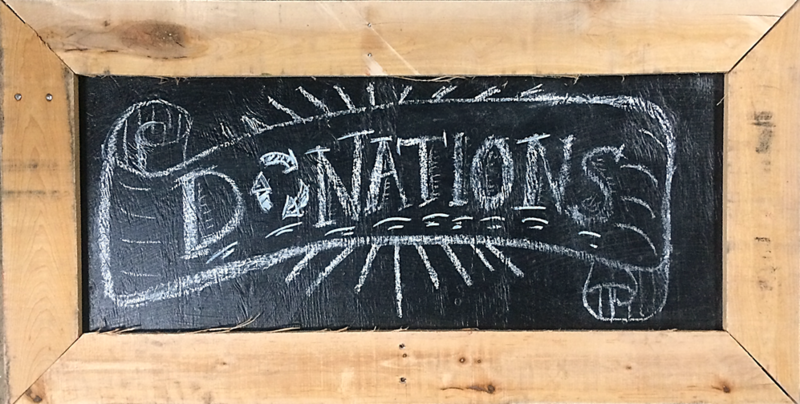 Hey Forklift Fans – do YOU know any cool community organizations? Could they benefit from materials from the Forklift? Please refer them to our Community Building Blocks program!